Ogunquit Performing Arts is excited to present two days of musical performances by highly acclaimed artists beginning on Friday, September 7, 2018, and continuing all day Saturday and into the evening of September 8th. 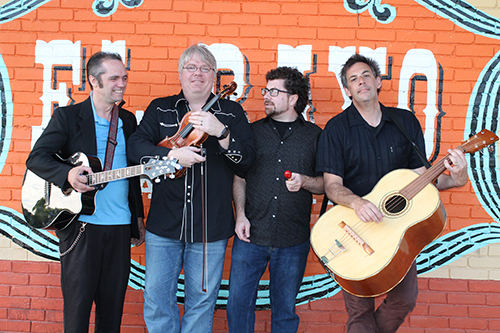 Performing artists include The Matt DeChamplain Trio, Andy Happel with Los Galactacos, Paul Sullivan and Con Fullam. While OPA’s Capriccio in prior years has been presented as a “Festival of the Arts”, this season it’s changed it’s focus back to its roots and thus been retitled “The Capriccio Music Festival”. On Saturday, September 8th we are presenting a day long walkable series of performances. 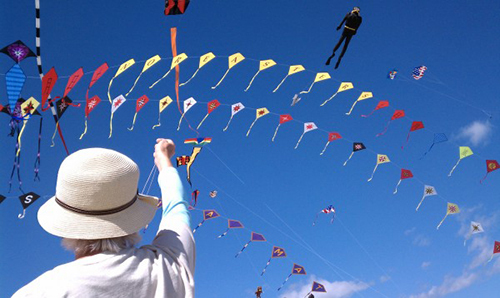 From10am to 11:30am we begin at the Main Beach with the very popular Annual Kite Festival. This year we’re adding live music with Andy Happel. Andy plans to bring along some musician friends to join in the joyous fun, playing selections from his repertoire of exotic tunes and lilting rhythms…weather permitting of course. Then a chance to catch lunch and stroll on over to the Dunaway Center for 2:30pm ‘matinee’ performances by Grammy Award Winning pianist Paul Sullivan and Emmy Nominated Singer/Songwriter Con Fullam. Paul’s warm and inviting personality, coupled with his world-class musicianship, wins over new listeners immediately and usually makes them life-long fans. Con is a most talented and accomplished wordsmith and songwriter, but it’s when he himself performs his music that the listener’s experience is most touching, whether his musical stories are wistful, joyous, loving, blue or hopeful. We are very pleased that both these extrodinarily delightful Maine artists have accepted our invitations to perform in Ogunquit. Take my word for it, this is not to be missed! Time for Dinner then onto the Barn Gallery, 1 Bourne Lane, Ogunquit, for our final performance of the day. Andy Happel and Los Galactacos return to the Barn after last year’s highly received performance. Their variety of beautiful songs and rousing rhythms from across the Americas, and across the seas: Tex/Mex folk; Appalachian string music; Canadian maritimes fiddle tunes; the Classic American Songbook; ol’ time Country; and music for wherever people gather and celebrate had us dancing in the aisles! Tickets for each individual performance are $18 in advance, $20 at the door, and $5 student. We also offer a discounted Festival Ticket that provides admission for all three events for $45. Tickets may be purchased until 24 hours prior to the performance at the Ogunquit Camera Shop, Ogunquit Playhouse Downtown Box Office, Ogunquit Welcome Center, and the Dunaway Center, – OR online.